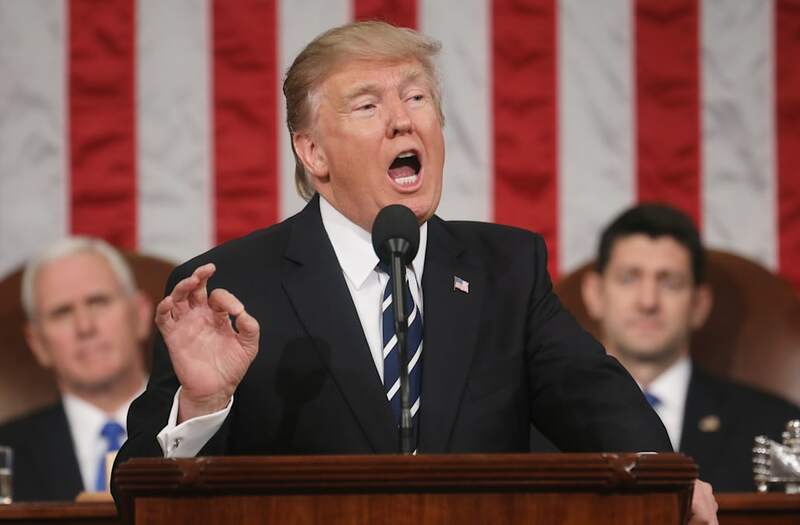 President Trump's congressional address on Tuesday was generally well received. According to a CNN/ORC poll, 57% of the respondents had a "very positive" reaction to the speech. It was also estimated to be the most tweeted with the Associated Press reporting that about 3 million tweets referenced the speech. However, Politico reported on Wednesday that the number of tweets related to the address may have been inflated by the "bot" accounts favoring Trump. The media outlet noted, "Even before they started trending yesterday, the official hashtags — #JointAddress and #JointSession — accumulated decidedly inorganic traffic, including from some accounts that had never tweeted about any other topic." It goes on to state that some conservative outfits appeared to have seen "amplified" reactions due to "automated retweets." As an example, Politico cited a poll by a non-profit that "spread with help from automated accounts, some of which continued to disseminate the poll hours after Trump stepped away from the teleprompters." This is not the first time bots have been reported to influence how fast and wide messages spread on Twitter. During the 2016 presidential campaign, CNN noted that an academics team "led by Oxford University professor Philip Howard...found that 33% of pro-Trump traffic was driven by bots and highly automated accounts, compared to 22% for Clinton."